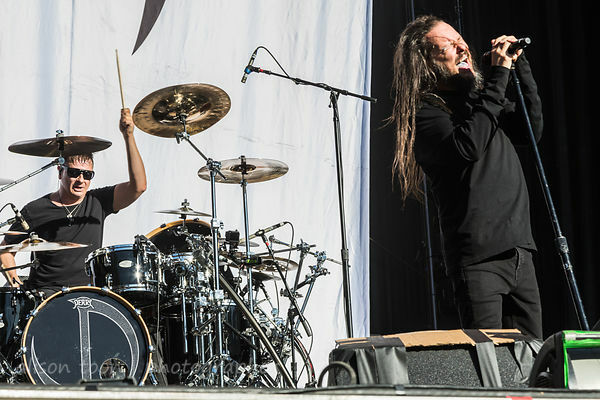 4.15 pm Saturday, the sun a hot, bright lance striking straight to the eyes of anyone looking out from either of the Aftershock festival main stages; it's Jonathan Davis' time on stage, with his touring band for Black Labyrinth, the solo album released earlier this year. 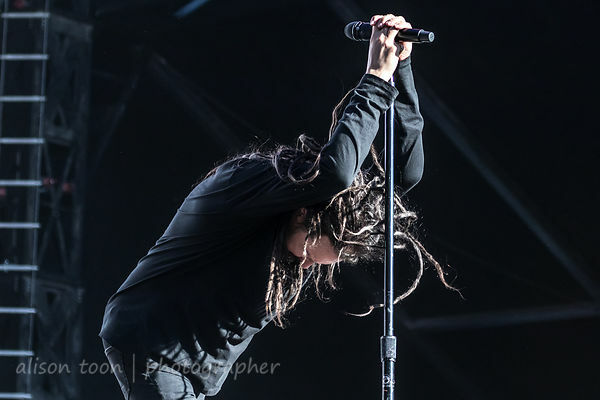 With him on stage this time, double (string) bass, guitar and drums, and Jonathan Davis himself, expressive as ever. 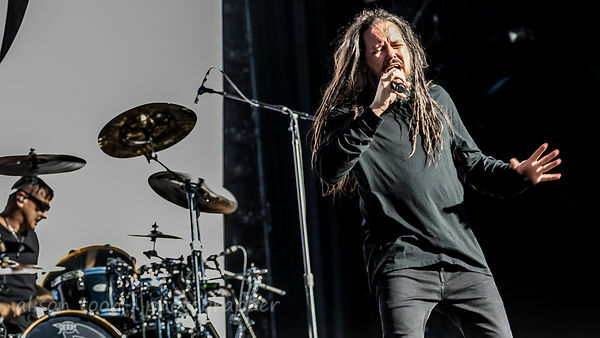 The show starts with Underneath My Skin and Everyone from Black Labyrinth, then Forsaken (which Jonathan Davis wrote for the soundtrack of the movie Queen of the Damned). I thought of a friendly-but-wild lion, prowling the stage, roaring. Dressed in goth black. 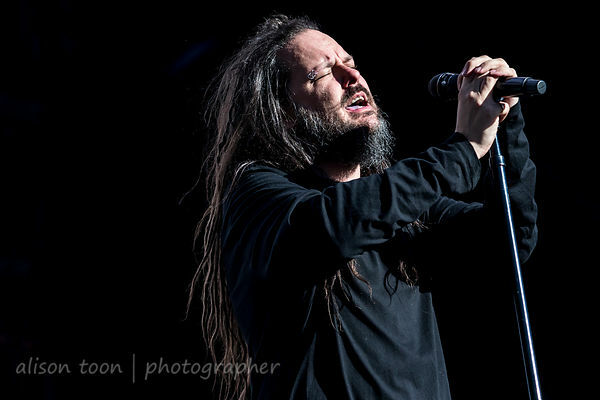 A festival set is not long enough to appreciate the entire album plus the other gems that Jonathan Davis puts into his full Black Labyrinth tour shows. See if you can catch him on tour: more dates have been added. I saw Manchester at the end of the tour lists, and I thought about train tickets before understanding that it's Manchester Music Hall, Lexington, KY, not Manchester, England. Lucky Kentucky. If you haven't heard Black Labyrinth yet, here's a review... here's a review of the show at the O2 in London, UK... and here's where you can buy your copy, either digital or physical media. Find more info on Jonathan Davis' website, Facebook, or Twitter. 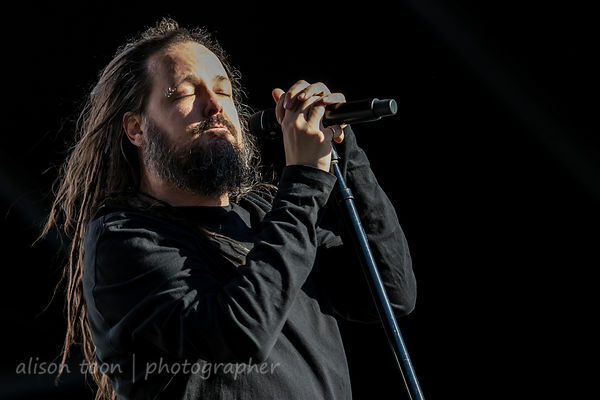 And the photogallery, Jonathan Davis at Aftershock 2018, is here!